Project Goals and Objectives | Cape Verde Jewish Heritage Project, Inc. 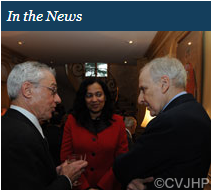 The Cape Verde Jewish Heritage Project, Inc. The Cape Verde Jewish Heritage Project, Inc. (CVJHP) is a nonprofit 501(c)(3) organization that aims to honor the memory and explore the contributions of the many Sephardic Jewish families who immigrated to Cape Verde from Morocco and Gibraltar in the mid-19th century. The Cape Verde Jewish History Project, founded in 2007, works in conjunction with the descendants of the Jewish families of Cape Verde to accomplish its goals. Many descendants throughout the world are collaborating on various aspects of the Project such as providing oral testimonies, technical support, and financial assistance. 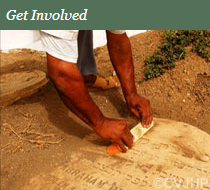 Restore and preserve several Jewish cemeteries in the Cape Verde Islands. Publish a book about the Jews of Cape Verde based on archival research and testimonies of descendants. Educate future generations about the Jews of Cape Verde. Encourage Jewish tourism to Cape Verde. The Jewish burial grounds in Cape Verde are in dire need of repair. The story of the Jews of Cape Verde and their descendants has yet to be fully researched and documented. Future generations should know about this unwritten chapter in Jewish history. The Jewish burial grounds in Cape Verde are in dire need of repair. The story of the Jews of Cape Verde and their descendants has yet to be fully researched and documented. Future generations should know about this unwritten chapter in Jewish history. 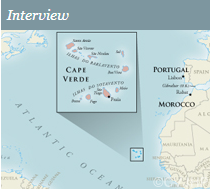 The Cape Verde Jewish History Project, founded in 2007, works in conjunction with the descendants of the Jewish families of Cape Verde to accomplish its goals. Many descendants throughout the world are collaborating on various aspects of the Project such as providing oral testimonies, technical support, and financial assistance. An organization called the Cape Verde-Israel Friendship Society (AMICAEL) was formed between Cape Verde and Israel in 1994. An AMICAEL subcommittee is also collaborating on the Project. The seeds of the Cape Verde Jewish Heritage Project were sown in the late 1980’s while Carol Castiel was managing a United States Agency for International Development- (USAID) funded scholarship program for Portuguese-speaking Africa at the African-American Institute in New York City. From her Cape Verdean students, many with Jewish surnames, she learned of the Jewish cemeteries throughout the islands. Castiel continued to travel to the archipelago in the 1990’s as an independent consultant/free-lance journalist. Her trips coincided with a resurgence of interest in Jewish roots on the part of many descendants who were pressing for the restoration of the dilapidated cemeteries. Since then, Castiel has contributed time and effort to interviewing descendants, publishing articles, and making presentations about the Jewish presence in Cape Verde. Initially called “The Jews of Cape Verde Project: Preservation of Memory,” the project was affiliated with B’nai B’rith International. In 2007, the Project, now renamed “The Cape Verde Jewish Heritage Project” received independent 501(c)(3) status and can now more effectively raise funds to achieve its goals of preserving the cemeteries and telling the story of Cape Verde’s Jewish heritage. Developed by Informavore | Copyright © 2009 - 2019 Cape Verde Jewish Heritage Project, Inc.